Several media companies like iQiYi, Youku, Tencent, Daylight Entertainment, Huace Film and TV, Linmon Pictures, Ciwen Media, Youhug Media, Hengdian World Studio and New Classics Media have released joint statements to puts a cap on the salaries of actors and actresses to address the increasing income gap and the perceived "money worship" among others. This action is brought about by the Chinese governments crackdown on their A-list celebrities and putting their financial dealings under intense scrutiny. 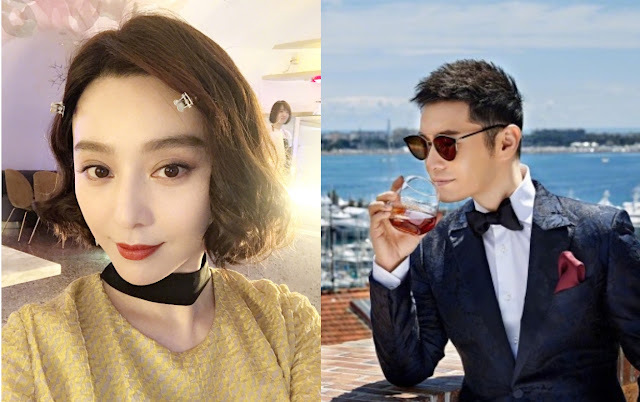 This task force have investigated Fan Bing Bing for tax evasion, Huang Xiaoming for stock manipulation, Zhao Wei who is facing a class action suit from investors after suffering heavy losses on a company that the actress and her husband have taken over. The Chinese government calls for a salary cap so that the aggregated salary of all actors and guests will not exceed 40% of total production cost for any TV series, web series or movie. The salary of the main cast cannot be larger than 70% of total production cost. The companies mentioned above have agreed to follow the government. Revised: With this initiative, an actor's individual income television projects would be capped at 1 million yuan per episode and 50 million yuan per season. We have still yet to hear a celebrity react to this news but this will greatly affect a lot of China's A-list celebrities like Yang Mi and Angelababy who are some of the country's highest paid actresses. Will the salary cap affect the actor's performance? In my opinion, it might cause morale issues in the beginning since some are used to earning a certain amount of money. It might also cause some issues where the actors are stretched thinned since they have to work more to compensate for the loss of income. What do you think about this move by the government? Yes, the actors pay should be cut. So many mediocre actors and actresses like Angelababy getting paid in ridiculous amount of money when the acting is bad. The money should go more into production team and crews behind the scene who work so hard to produce a drama. Costume and set can be very expensive. Slight cut of money wont affect those actors. They're still rich anyway. I think I read something similar. But the 50 million cap is for actors salary as far as I understood so that still leaves room for production. No drama would get made on just 50 million, at least not the high profile ones. A lot of crew members, props, outfits, etc. I think these companies just want to cap actors payment. So now they cant pay them more than 50 million but they can still ask for high amounts from networks when they sign on a big celeb. They will probably pocket most of it. If the numbers for Minglan are true on the new terms they could still ask for 800 million from Hunan since ZLY is leading the drama and only pay all actors 50 million and the rest goes to them. I heard income inequality in china and the real estate bubble has caused most chinese to be unable to buy property so social unrest is increasing in china so the communist dictatorship has to do somethings. You may have a point (the social unrest issue). I suspect that, regardless of the huge amount of money these actors have received, they are still relatively peanuts compared to - say - the oligarchs. They may be targeted by the government bcz they're more exposed than the nepotists. This said, I still think it's a good step, so money is spent better to improve production values of the movies and dramas.